While Mnuchin did not say how the Trump administration planned to get Fannie and Freddie out of government control, the fact that he called it a “top ten” priority that he wants to accomplish “reasonably fast” is an extremely positive development. Mortgage reform has been hung up in Washington for the past eight years, largely because the Treasury Department has insisted that Fannie and Freddie be “wound down and replaced” as part of any reform initiative. To facilitate this goal, Treasury falsely accused the companies of having caused the 2008 financial crisis, and put them into conservatorship against their will and in spite of the fact that they still met their statutory capital requirements. Treasury then directed their regulator, the Federal Housing Finance Agency (FHFA) to book massive amounts of non-cash expenses that forced them to take $187 billion in unneeded, non-repayable senior preferred stock, whose 10 percent dividend required them to pay $18.7 billion after-tax to Treasury in perpetuity. But because the source of Fannie and Freddie’s senior preferred stock burden had been temporary or artificial non-cash expenses booked by FHFA—not operating losses incurred by the companies—the expenses reversed themselves and became profits beginning in 2012. At that point, Treasury and FHFA agreed to the net worth sweep, requiring Fannie and Freddie to remit all their future profits to Treasury—keeping them in indefinite conservatorship while Treasury, its allies and supporters attempted to figure out how to replace them. Numerous lawsuits were filed challenging the sweep, and reform discussions effectively have been frozen as those suits work their way through the courts. Now the incoming Secretary of the Treasury says he wants to get Fannie and Freddie out of the government. To do that he will need to settle the lawsuits, and to settle the lawsuits he, and the plaintiffs with whom he will be negotiating, will need to decide what they want to do with Fannie and Freddie after the settlement. Mnuchin ran the mortgage department at Goldman Sachs for five years (during the time I was Fannie’s CFO), so he comes to the fight over Fannie and Freddie with a wealth of knowledge, and brings a fresh perspective to it. He knows the plaintiffs he will be negotiating with—Bruce Berkowitz, John Paulson and Bill Ackman among others—quite well, and they all understand the difference between financial reality and financial fiction when it comes to the companies. Plaintiffs in the lawsuits have had ample time to evaluate the alternatives to Fannie and Freddie that have been put forward; they believe they are unworkable, and will convey that to Mnuchin. On the other side, career officials from Treasury will continue to assert that Fannie and Freddie are a “failed business model” that leads to “private gains and public losses,” but those bromides are unlikely to be persuasive to the pragmatic group of financial professionals who now are in a position to decide the companies’ futures. Just as Fannie and Freddie were put into conservatorship (and subjected to the net worth sweep) through administrative action, they can be taken out the same way. And moving the locus of the reform debate from Washington to New York will be a welcome reset. The special interests in Washington have had eight years to try to devise a replacement for the companies as the centerpiece of the U.S. secondary mortgage market, and they have failed utterly. That is turning out to be a blessing. Very few on Capitol Hill have more than a superficial understanding of what it takes for a secondary mortgage market credit guaranty operation to function effectively, and having a $10 trillion financial market at the heart of the American economy be at the mercy of lobbyist-drafted legislation always was a frightening prospect. We will be much better off in the hands of Messrs. Mnuchin, Berkowitz, Paulson, Ackman, et al. For almost twenty years I was responsible for the capitalization, credit risk analysis and pricing of Fannie Mae’s single-family credit guaranty business. When I left at the end of 2004, Fannie was financing more than $2.3 trillion in mortgages, serving an impressively wide range of low- and moderate-income homebuyers, meeting ambitious affordable housing objectives, and charging an average guaranty fee of under 20 basis points while posting a 15-year average annual credit loss rate of less than 3 basis points. This experience gives me a better perspective than most on what the future U.S. secondary mortgage finance system should look like. From that perspective, I have three pieces of advice for the negotiators who must agree on this post-settlement system: pick the best model, get the capital right, and be realistic about the role of government. I elaborate on each briefly below. The biggest mistake the Obama-administration Treasury made in its stewardship of mortgage reform efforts was its insistence that the mortgage finance system of the future look nothing like the mortgage finance system of the past, with Fannie and Freddie at its center. This doomed its reform efforts to failure, because the Fannie and Freddie model works, while alternatives that reject this model do not. 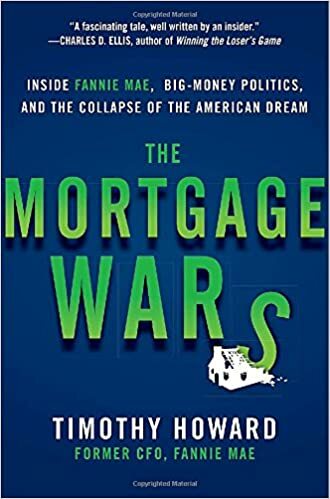 In his book On the Brink, Treasury Secretary Henry Paulson said, “Fannie and Freddie were the most egregious example of flawed policies that inflated the housing bubble and set off the housing crisis.” That was complete fiction. The superior performance of the companies was known even before the crisis, and it has subsequently been confirmed: from 2008 to date, the average credit loss rate on single-family loans purchased or guaranteed by Fannie and Freddie prior to the onset of the crisis has been about one-third the average loss rate on comparable mortgages made and held by commercial banks, and less than one-fifth the loss rate on loans financed with private-label securities. One reason for Fannie and Freddie’s exceptional credit results is their business model. They are specialized institutions, whose only business is financing U.S. residential mortgages. While they hedge their interest rate risk extensively, historically they have retained the bulk of the credit risk on the mortgages they finance. As shareholder-owned companies they have strong incentives to gauge, price and manage that risk prudently. They impose strict underwriting standards on the loans they purchase or guarantee, and benefit greatly from their ability to diversify credit risk by product type, risk category, geography, scale and over time. Credit guarantors that diversify credit risk at the entity level can weather adverse housing market environments with far less capital (and thus far lower guaranty fees) than structured securities or credit guarantees made at the pool level. In the entity-based model, revenues on good loans from all years, regions and loan types are available to cover losses on any group of loans that happen to go bad. In the pool-based model, each pool has to stand on its own, and the inability to reach beyond that pool for revenues—or to add capital post-securitization, as an entity-based guarantor can—requires substantially greater amounts of capital initially. Across a $5 trillion secondary market, the inefficiencies of pool-based guaranty models add up to tens or perhaps hundreds of billions of dollars in required capital, which simply disappears when those risks are diversified at the entity level. The entity-based model isn’t just marginally better than the pool-based model; it’s overwhelmingly better. Fannie and Freddie are entity-based guarantors. They exist today, and have a proven track record of success. They should not be “wound down and replaced;” they should be reformed, removed from conservatorship and recapitalized. As I’ve noted elsewhere—including in an essay titled “Fixing What Works,” done for the Urban Institute (and available on this site)—there are three key reforms to the companies that should be made. The first is to limit their mortgage portfolios to purposes ancillary to their credit guaranty businesses. Those would include holding non-performing loans purchased out of mortgage-backed security (MBS) pools, operating a cash window for whole loans sold by smaller lenders (to be pooled into MBS by the companies), and possibly for the “incubation” of new product types in anticipation of their becoming sufficiently popular to warrant their own MBS prefix. The maximum size of the companies’ portfolios would depend on what is necessary to carry out these activities; I’ve recommended a limit of no more than 10 percent of outstanding credit guarantees. The second and third recommended reforms to Fannie and Freddie are updating their capital requirements and clarifying their relationship with the government. They are addressed in the next two sections. The path to determining the amount of capital required to make Fannie and Freddie “absolutely safe” has been open in front of us for eight years. Section 1110 of the Housing and Economic Recovery Act (HERA) of 2008 states, “The Director [of FHFA] shall, by regulation, establish risk-based capital requirements for the enterprises to ensure that the enterprises operate in a safe and sound manner, maintaining sufficient capital and reserves to support the risks that arise in the operations and management of the enterprises.” FHFA so far has ignored this provision of HERA, I believe at the behest of Treasury, which knows that if FHFA does update Fannie and Freddie’s risk-based capital standards it would reveal that the companies need far less capital to operate safely than their critics insist they hold. The actual risk-based capital requirements that result from this exercise will not be known until FHFA conducts it, but I’ve used the same stress scenario, Fannie’s 2008-2012 credit losses, and its current book of business—which has few of the interest-only adjustable-rate mortgages and “no-doc” loans that caused half its credit losses in 2008-2012—to estimate what Fannie’s single-family credit risk capital might be today. That estimate is not much over 1 percent. The percentage is so low because Fannie’s mid-2016 business mix contains relatively few higher-risk loans. Largely for this reason, I’ve recommended that the companies also have a minimum capital requirement (I’m proposing 2 percent). A minimum capital percentage will benefit affordable housing borrowers by making it impossible for Fannie or Freddie to drive their required capital below that minimum by financing only pristine credits. Banks have been persistent and vocal critics of a risk-based capital standard for Fannie and Freddie’s credit guaranty business for over three decades. Because of the scope and complexity of banks’ permitted business activities, their regulators have had no choice but to subject them to static, ratio-based capital standards for broad categories of the various types of business they do. Banks’ opposition to custom-tailored capital standards for Fannie and Freddie rests on the “level playing field” argument that the companies should have the same arbitrary and inefficient capital standards for mortgages they have. Yet that would cause homebuyers to pay unnecessarily high guaranty fees for no good purpose. More capital for Fannie and Freddie is not better. The objective should be the right amount of capital—one that strikes a careful and deliberate balance between taxpayer protection on the one hand and the cost and breadth of access to mortgages on the other. Be realistic about the role of government. With new, much more rigorous and transparent risk-based capital standards set by FHFA and endorsed by Treasury, I believe Fannie and Freddie’s credit guaranty businesses would be able to operate without an implicit or explicit guaranty from the federal government. (The companies’ portfolios would need to either shrink or be sold off to the point where they could comfortably be financed with debt that is a general obligation of the companies, combined with derivatives.) Mortgage rates, however, would be higher. The yields on Fannie and Freddie’s MBS would rise by some unknown amount, and the market for their MBS would be considerably less broad and deep than it is now. To prevent these adverse effects, it would be much better public policy for the companies to have some form of recognized support from the federal government. In my “utility” model, I have proposed that in exchange for Fannie and Freddie’s accepting a stringent risk-based capital standard, tighter supervision and regulated returns on their business, the government would put in place a formal agreement to extend short-term repayable loans to them in the remote event that their (new and much tougher) capital standards prove insufficient. With such an arrangement, the government would convey a valuable benefit to low-, moderate and middle-income homebuyers—through the lower Fannie and Freddie MBS yields that would result—at no perceptible risk or cost to taxpayers. The concept is simple, and I think compelling. Once the government has picked the stress standard it wants Fannie and Freddie to be able to protect against, it then becomes in the government’s best interest to extend short-term repayable credit to the companies in the remote chance this standard (which it set) proves insufficient. Any consequent moral hazard or perverse incentives should be minimal. Beyond the companies’ having regulated returns, in a scenario that triggers government support Fannie and Freddie’s shareholders would lose nearly all of their capital, the stock price would plummet, noncumulative preferred dividends would cease, and top management would lose their jobs. And once the companies recovered, they would have to replace their lost capital by issuing new shares of common stock at very low prices, badly diluting the value of existing shares. The mortgage finance system, and homebuyers, would benefit from the backstop arrangement far more than would the companies or their executives. There are numerous precedents for the federal government conveying benefits to particular industries or sectors of the economy for the public good, at negligible risk to the taxpayer. An excellent example is federal deposit insurance. FDIC insurance already is in place, so we tend not to notice its systemic benefits. But imagine what would happen were those who insist that the secondary mortgage market be “fully private” to make the same demand of commercial banking, and require that FDIC insurance be replaced by private deposit insurance, backed by private capital. Implementing this would have three major effects. First, banks would pay far more to private deposit insurers than the actuarially determined fees they pay the FDIC, because private insurers would have to hold significant amounts of risk capital and would price to earn a market return on that capital. Second, consumers would demand substantially higher rates on privately insured bank deposits than they do on FDIC-insured deposits. Third, private insurers would exercise considerably more discipline over what banks can do with their insured deposits than the FDIC now does, limiting banks’ revenues from risk-taking. The total costs to the banking system of private versus FDIC insurance—through higher insurance fees, higher deposit rates, and restrictions on risk-taking—would be enormous, and the bulk of them would be passed on to banks’ customers. By corollary, the avoidance of those costs through FDIC insurance is a government benefit of an equivalent amount. No one advocates replacing FDIC insurance with private deposit insurance, yet many do assert that any form of government support for the secondary mortgage market—even one with no hard-dollar costs—is anathema. That is an indefensible double standard. Policymakers must recognize it as such, and not penalize mortgage borrowers by forcing them to bear an ideological burden from which customers of banks have been exempted. Pick the best model; get the capital right; be realistic about the role of government. That’s the easy part. Following these steps, settling the lawsuits, and getting Fannie and Freddie “out of government control” and back supporting the mortgage market as shareholder-owned companies is the hard part. That, however, is the expertise of the people who now will be taking the lead on mortgage reform. We all should wish them well in the task that lies ahead of them. Even with Allison’s criticisms, I find him in ways more friend than foe with respect to his views on ultimate blame lying more with with government, not market institutions. Any thoughts given his name is now being floated about? I see that Mr. Allison is being considered by Trump to fill a vacancy on the Federal Reserve Board, as vice chairman and head of banking regulation. I don’t share Allison’s ideology, however, so I doubt we would have the same objectives, or similar views on most financial issues. Yes, I see him as one opposed to some aspects of GSEs but possibly also against C ship and takings. The former finance chief of Allianz said European banks needed to defend their interests more vigorously against rivals in the United States where lenders are helped by state-sponsored bodies such as Fannie Mae, allowing them to shed part of the risk of mortgages. Does the nominated Secretary of Justice , Jeff Sessions, assume his functions as head of DOJ on Jan 20 and then he is confirmed by senate , or he will take over only after confirmed? Sessions will assume the functions of Attorney General only upon being confirmed by the Senate. In the interim, however, the President can designate an acting head of the Justice Department. Hi there Tim. Thanks for all of your insight. This may a silly question, as I put little faith in what I read here for obvious reasons, but on a separate blog this was stated. “I have heard from multiple sources that all of the documents that Obama has withheld under various bogus privilege claims will be released with the blessing of Trump and Newly appointed Attorney General Jeff Sessions.” Have you heard anything of the sort or is this hollow like much of the past? Even if you haven’t heard this, do see this as a possibility? I read everything I can and though slightly on the narcissist side, he has been correct a few times in the past. Thanks for your input. That sounds like speculation to me. It is, however, quite possible that senior officials in the Trump administration will not want to take on what now seems to be a futile battle to keep documents that may be (and I think very likely are) incriminating of officials in the prior administration from being produced in discovery in the Sweeney case. If key advisers to or officials of the Trump administration are leaning that direction, the quicker they drop their privilege claims the cleaner their hands will be. Do you have any thoughts on David Stevens’ claim in this recent article that the Congress has prohibited the Treasury from executing any transactions with the Sr. Preferreds absent an explicit act of congress? If true, this would seem to seriously tie the hands of the Trump/Mnuchin’s Treasury with respect to recapping and releasing the GSEs. DOJ can work with plaintiff to ask judge to write a summary judgement. Corker has a clause in the budget bill to prevent feds from voluntarily action. But this does not affect courts at all. Additionally, Treasury can modify any contract with GSEs. For example, raise exercise price to $100 per share, which makes warrants worthless. Mnuchin is 10 times smarter than David Stevens, Mike Bright, Corker, and Warner. you can drive a truck through this language. a 4th A that retroactively amends a term (NWS) is not prohibited, and would have the effect of converting dividends into principal repayments. even if perry appeals court hasnt ruled, nothing prevents from a mnuchin treasury from concluding that the lew treasury didnt have authority under HERA to implement NWS. see for example HERA provision against treasury transactions post 2009.
so assuming mnuchin is satisfied with a 10% senior preferred return and actually wants to prepare the GSEs’ balance sheets for a recap, there is nothing in jumpstart that prevents treasury from doing this. stevens is just blowing lobbyist smoke. A 10% Sr return even if the NWS is terminated would not prepare GSEs for recap in any way as it effectively sweeps all profit to the Treasury. So treasury has already gotten 10% return on and almost entire return of capital under NWS. This law applies to only Tsy or executive branch. How does this law affect others like FHFA conservator? This law only puts restrictions on Tsy. FHFA conservator can unilaterally cancel all contracts saying inter-agency agreements can not trump US laws. BTW nobody can sue FHFA conservator while exercising legitimate conservator authority to preserve and conserve. Forgot that: FHFA had and still has unconstitutional management structure. If all work together in the best interest of all stakeholders, there is nothing to prevent doing what is right. Either management structure should not affect the conservator’s authority to preserve and conserve. wouldnt it be interesting if mnuchin et al incorporate this notion of a govt cat-loss level explicit guaranty into a GSE recap program? wouldn’t it make a capital requirement along the lines of what you have been proposing, on order of 2%, much more palatable (both to politicians and the financial market)? of course treasury could offer this explicit guaranty not just to GSEs but anyone who wants to securitize mbs…though i think the capital markets would much prefer to own GSE debt than individual pools of mbs with a cat-loss guaranty, no? I just read the blog post in question, and, as I suspected, the story that appeared in Inside Mortgage Finance claiming that “Obama is in favor of an explicit guarantee for certain MBS” does not appear to be accurate. The authors of the Treasury blog post cited as the source of this statement (two people I’d not heard of before–Jane Dokko and Sam Valverde) say that “as the president articulated in 2013, a reformed housing system must ensure access to safe and affordable mortgages in all economic conditions.” That’s a laudable objective, and I can see President Obama saying something like that. The authors then go on to add, “To this end, the Administration supports an explicit government guarantee on a defined class of mortgage-backed securities (MBS).” “The Administration” could be anybody; I highly doubt that President Obama has endorsed this idea, or indeed even is aware of it. The concept of catastrophic loss coverage by the government on guaranteed MBS–whether for some (ironically undefined) “defined class,” or all of them–has been an element of many recent mortgage reform proposals. But “God is in the detail.” As I note in this current post, I think some form of formal backstop arrangement by the federal government for mortgage pools guaranteed by credit guarantors of the future (whether Fannie and Freddie, or some other entity or entities) is sound public policy. Exactly how one provides that backstop, however, will depend on how it fits within the overall credit guaranty mechanism being proposed, and the political appetite for that particular approach. I trust the negotiators in the upcoming settlement talks to be able to balance all of the economic, financial and political elements in this equation, and get it right. I think most of the elements identified in this plan could be useful as components of a negotiated settlement between the government and the plaintiffs. But I also think your plan would greatly benefit from having an identified objective (for which this plan is, in your opinion, the best way to achieve it). Many proposals I’ve seen have the implied objective of maximizing the values or prices of Fannie and Freddie’s preferred and common stock (which is why they all include cancelling the warrants). I understand why the companies’ current shareholders might have this objective, but that won’t be enough. If Fannie and Freddie are to be released from conservatorship and restored as private companies, the Trump administration will need to have a reason to make it happen, and Congress at a minimum will need to accept that plan, and not seek to counter it with legislation. I still do not know what the Mnuchin Treasury will set as its objectives for settlement talks with plaintiffs. I’m hopeful it will realize that releasing and recapitalizing Fannie and Freddie is the best alternative for ending the eight-year impasse on mortgage reform, but I can’t rule out the possibility that it might decide to settle the lawsuits as cheaply as possible, then throw its support behind the forces in Congress that want to liquidate Fannie and Freddie and replace them with some mechanism more to the liking of the large banks and Wall Street interests. If the latter choice is made, your plan obviously is dead. But even if the former is made, I believe your plan would need to be tweaked in some ways to give the Trump administration (and Congress) some reasons to go along with it (other than that it’s the right thing to for consumers, which unfortunately in politics seldom is enough). I’m surprised you’d say that. At the very least, it’s not in keeping with what mnuchin is on record saying. Some optimism is justified by recent events, but I’d caution about getting too far out in front of what we actually know. i agree with sentiments expressed by tim and anon on not getting carried away, which is another of way of saying we need to check our confirmation bias as best we can. i probably more than most let my conviction become hardened. but after hearing for years from an administration saying it wants to wind GSEs down and replace them with whatever congress comes up with, we now have an administration (only mnuchin really, and assuming he is confirmed) that says he wants them out of govt control and ownership, and he thinks this can be done reasonably fast. mnuchin may think he got ahead of himself with that comment a bit, especially after the immediate market reaction, and i am actually glad he has not spoken to the GSE issue since. so let’s not underestimate the extent of this turn of events. will there be push back against a more favorable GSE policy within treasury and congress? of course. but i think you will see a programmatic tone to the trump administration’s first 100 days, and that tone will be that the new administration is working to reverse alot of what the obama administration has done. indeed, with recent developments regarding russia and israel, there is even more on trump’s plate to reverse than even when he was elected. and so the presence of GSE pushback needs to be understood in the context of what will be going on, which will be a whole lot of policy reversals being proposed of which the GSE policy will likely be not the most prominent or contentious issue. and the administration can say that nothing prevents congress from trying to modify anything mnuchin’s treasury does administratively after the fact, but given that congress couldnt pass anything adverse with a receptive obama administration, i have a hard time seeing congress coalescing in a way that would significantly counter what mnuchin might have in mind. pushback will be coming from the democrats on alot of what trump wants to reverse, but democrat pushback is not going to be that significant re GSEs imo. so, i think a favorable GSE policy will lose its most ardent opponent, the obama white house itself. assuming the trump administration sets a tone in the first 100 days that it means business and is not pausing for stragglers, opponents of an favorable GSE policy will face an uphill fight. Thanks Tim for bringing us back to earth. You are highlighting the complex political system that binds such a difficult resolution with both sides having their own agendas even though the truth already has enough legs to stand on its own imho. Would you say, one of the strongest ‘reason’ that the new administration needs could be in the form of the evidences released by courts (if it happens) from the undisclosed documents withheld under various privileged claims? Which do you have a view on why suddenly everything on the courts fronts has suddenly gone so quiet? Evidence contained in the 56 documents whose disposition is currently being reviewed by the U.S. Court of Appeals for the Federal Circuit is very likely to support the notion that the Obama administration Treasury has misled both the courts and the public about its motivations for taking over and then sweeping the profits of Fannie and Freddie. That would add weight to the argument that the companies were taken over in 2008 not because they were weak, but because they were strong–and that if released they could again serve as the engines of the secondary mortgage market. As to the delays in the court rulings, I’m guessing along with everyone else, but I now suspect the courts may be waiting for the change in leadership at the Justice Department that will take place next month before issuing rulings on these important and high-profile cases. If the Courts are waiting for new leadership at DOJ, like Tim thinks, it means that the Courts are against the old DOJ’s position. What Judge will support hiding 11,000 documents for not even one good reason. I hope the documents will be uncovered and the protective order void. The , after the dust settle, any decision will be more fair. What are the derivative hedging profits/losses since 2002 for FnF? Is it true that that Fannie had over $50 billion in losses on derivatives hedging between 2002 and 2007 and added another $15 billion in derivatives losses in 2008? I’ll answer your second question shortly, but before I do I’d like to make a general point about why the topic of derivatives losses at Fannie and Freddie between eight and fourteen years ago might now be coming up. When I read a reference to “over $50 billion in losses on derivatives hedging between 2002 and 2007 and…another $15 billion in derivatives losses in 2008,” I immediately think of the article that likely would have contained these figures: its subject would have been what an awful company Fannie Mae was to have lost over $75 billion in risky derivatives speculation in just six years. Opponents of Fannie and Freddie now are genuinely alarmed that they may not succeed in killing them, so I have little doubt we’ll be seeing a barrage of negative publicity about the companies in the coming months. Almost all of it will go unchallenged, as it has for the past couple of decades. Just for the record, though, I’ll give you my answer to the derivative loss question. First of all, the derivative numbers cited (which, with the exception of 2008 I haven’t checked, but they look reasonable) aren’t “losses;” they’re expenses. They fall into four categories. The first two—interest payments on floating-to-fixed rate interest rate swaps, and premiums paid for options to enter into interest rate swaps in the future (known as “swaptions”)—are routine parts of Fannie’s interest rate risk management. Prior to the adoption of the accounting for derivatives standard, FAS 133, in 2001, these two items would have been recorded as interest expense, not derivatives “losses,” and nobody would have paid any attention to them. The third component of derivative expense is gains or losses in the market value of Fannie’s outstanding interest rate swaps. Fannie had $547 billion in floating-to-fixed interest rate swaps in 2008, and the 213 basis point decline in swap rates during the second half of that year resulted in a $13 billion market value loss on those swaps. These same declines in interest rates, however, also increased the market value of Fannie’s mortgages, but following the accounting rules this increase in value was not marked to market. Post-2008, the company’s profits benefitted (by close to the $13 billion amount written down in 2008) by having its mortgages remain at their (higher) historical interest rates, while the annual interest expense on its swaps was deducted at the (much lower) 2008 marked-to-market costs. The one category of Fannie’s $75 billion-plus in derivatives expenses that WAS a permanent economic loss was fees paid on the interest rate swaps it terminated (which Fannie will do when interest rates fall and it needs to shorten the durations of its liabilities to match the suddenly-shorter durations of its assets). Fannie discloses its swap termination fees, as a component of “accumulated other comprehensive income,” but Fannie’s opponents and critics don’t like to cite real numbers. They would much rather pretend that ALL of the $75 billion in Fannie’s derivatives expense is a “loss,” and that it comes from bets on interest rates that went bad. All the more reason, then, to shut them down, and replace them with a bank-centric alternative. Thanks, You are the genuine expert one can rely on, when opponents try their best to confuse the public with such misleading narratives. Thanks for your public service to keep all well informed on such nationally important issues. The rich (hedge funds) benefitting on the backs of the poor (taxpayers) narrative is quite powerful, and is a tool effectively used by detractors of Fannie to turn public opinion against the shareholders. Since we can assume that this rhetoric will get louder as we get closer to d-day, how can Mnuchin and other protagonists defuse this false narrative and make people understand that the GSEs need to be private companies? Is there a graceful way of doing this without the mass media being status-quo? Docs. That’s the only way. They will prove everything and as a byproduct the warrants will be deemed extortion upon extortion. Thank you for your explanation about derivative expenses. The important point here is that over all the companies , after paying the expenses , were always profitable and generating well being and jobs by propelling house ownership. Thanks for all you do Tim Howard. Enjoy the holidays. Tim – have you seen this clip of Kellyanne Conway discussing FnF from last night? When she says that many republicans believe in privatizing FnF for a long time, do you read into this at all, i.e Corker, Hensarling, etc.? Mnuchin certainly didn’t say anything about dismantling, but curious on your thoughts. I hadn’t seen the Conway interview, but just watched it. People think and mean different things when they talk about the “privatization” of Fannie and Freddie. Fannie was an agency of the federal government until 1968, when it was “privatized’ by having shares sold to the public. At that time, it had a federal charter which limited it to the residential mortgage business, and also gave it certain benefits that enabled it to operate on a scale and at a cost that companies without its charter could not. When Freddie was created in 1970, it was given essentially the same charter as Fannie, but was made part of what then was the Federal Home Loan Bank System; Freddie was “privatized”–with shares sold to the public–in 1989. A different concept of Fannie Mae privatization–the revocation of all of its charter benefits, usually while keeping its business restrictions–became popular and was advocated by many prominent officials in the Reagan administration in the 1980s. It is this “pure” version of privatization that Rep. Hensarling and other conservative Republicans have in mind when they speak of “privatizing” Fannie and Freddie. In my view, however, pure privatization is not workable: if you get rid of the companies’ charter benefits, give them no other benefits, and keep them limited to the mortgage business, they will not be able to function effectively (as the commercial banking system could not function effectively without federal deposit insurance). We do not yet know which definition of privatization Mnuchin has in mind for Fannie and Freddie. I believe it’s one in which the companies are moved out of their government-controlled conservatorship and returned to shareholder-owned status, with a set of charter attributes that allow them to carry out their mission effectively and efficiently, not the Hensarling version that would permanently cripple them. But we should find out soon enough. Asked by Senator Shelby, CBO produced a research paper on recapalizing GSEs. It seems obvious to me that no concrete replacement can be found despite of many proposals..
Do you or your friends have any information about the status of the Lamberth appeal? Further, do you know if the public can put pressure on the court to wrap up their analysis? In my experience, the longer deliberations like this last the less righteous the decision becomes. I do not have any good information on the status of the Lamberth appeal, and I don’t know of anyone who does. But if we’re speculating about the implications of the delay in the decision, I think they are considerably more likely to be positive than negative. Were the judges inclined to uphold Lamberth, that would have happened a long time ago. My guess would be that Judges Ginsburg and Brown are awaiting a decision on the writ of mandamus to vacate Judge Sweeney’s decision to grant plaintiffs’ motion to compel production of the 56 documents in the Court of Claims case, with that expectation that denial of that writ may (a) convince Judge Millett to join the majority in remanding the case to the Lamberth court for development of an administrative record, (b) enable Judges Ginsburg and Brown to write a stronger majority decision (from which Judge Millett would dissent), or (c) less likely, give Judges Ginsburg and Brown sufficient additional ammunition to persuade them to decide in favor of overturning the Lamberth decision in its entirely, invalidating the net worth sweep. I think your own experience is a good example of how the governments delaying tactics can backfire on them. I remember reading your book, The Mortgage Wars, where you discussed how the Government attorney, Paul DeMarco, fell out in the courtroom, trying to answer questions about lack of evidence, feeling constant pressure from an incensed judge, collapsing to the floor under the tension of the situation at hand. Your reflections on this case may be helpful here. Some people used “logic” rather than evidence. there could be any number of explanations for the length of the perry appeals decision. here’s another: that ginsburg/brown dont want the decision (assume favorable for Ps) appealed for en banc consideration, and are waiting for a trump administration doj. arguably, if an obama doj requested en banc consideration and the majority of the dc circuit granted it, a trump administration doj might not be able to pull it back. who knows. we are in wait mode, and patience is a virtue. is it reasonable, in your exp, to believe that “were the judges inclined to uphold Lamberth, that would have happened a long time ago”? have you seen cases that took equally long if not longer only to affirm lower ct’s ruling? Is it normal though for judges to play politics like this and i am just being naive thinking they don’t? it is quicker to write one unanimous opinion than a majority opinion and a dissenting opinion (with the majority opinion invariably responding to certain issues raised by the dissent). so i think one could speculate that this decision will involve a dissent, given the delay. now, when i listen to the oral argument, and read the transcript of the argument, i come away with the speculation that the most likely configuration of this split is for judge millett dissenting from a majority ginsburg/brown opinion. btw, there could be three opinions, one for reversal, one for remand, and one for either affirmance or remand using a different standard than that used by the other judge. the majority result would be for remand. there are at least 6 different claims that i believe the opinion(s) must address. a law clerk’s nightmare. so, while i dont think there will be affirmance, i believe this based more upon what i heard and read in the oral argument, and not so much by the lapse of time since then. it strikes me my answer to your question was incomplete. there is a sense in which the delay in the perry appeals decision augers against affirmance. if you recall the govt argued that this was a very simple case. under HERA the conservator can exercise a power, and HERA prevents a court from restraining the conservator’s exercise of the power. so, when conservator signed 3rd A, it exercised a power (amending a contract), case closed. judge lamberth agreed with this truncated reasoning. of course plaintiffs argued that the exercise of conservator power must be within the HERA statutory purposes of rehabilitating the GSEs, during conservatorship, or moving on to receivership and liquidation. if you listened to or read the oral argument, there was precious little attention paid by any of the judges to this broad conception of conservator power advanced by govt. you would think that if the appeals court would affirm, it would affirm on the basis of this truncated conservator power argument. and this would be the quickest path to the issuance of an opinion. but there was no indication at oral argument that the judges were taking that position. Outstanding clarity. Thank you for your concise and well-reasoned response. Are you basing your assessment of Judge Millett’s dissent on her line of questioning at the appeal? I found it troubling but have wondered whether she is now up to speed. Yes; when I read the transcript I felt that Judges Ginsburg and Brown likely would agree on remand, and that Millett would dissent. But the longer the decision is delayed the more I wonder about other possible dynamics. One, as you suggest, is that information that has come to light since the April oral argument about the government’s actions and motives in imposing the net worth sweep–and the obvious inference from this information that the government deliberately had not been truthful in statements it made to the Lamberth court–may be causing Millett to reassess her position. That’s why I noted as one possibility that she (and Ginsburg and Brown) might be waiting to see what’s in the 56 documents the government so desperately is seeking to withhold. Any direct pressure placed on the court or judges could result in a mistrial, delaying the legal process, while giving the the defense team a means of appeal. Any thoughts on the FHFA Landing Team’s inclusion of Pinto and Pollock? They are volunteers nobody choose them specially. Alex Pollock is a volunteer in several landing teams. I think there would be a collective roar from your followers, myself included of course, if you raised your hand as a volunteer for a landing team position. Are you in a position to take on, or would you consider such a role? There is no authority such as yourself on this planet that I am aware of, although Epstein would be up there. I appreciate your time and dedication to this blog immensely. Thank you! I’m not planning to volunteer for a landing team position; I believe I will have more influence and success working directly with people who are in a position to influence the outcome of mortgage reform than I would have as one of many volunteers (with no real authority) on a landing team. Don’t know why those guys are there. Trump would not like them if he knows them. Watt may hate them. He can continue to finish term in 2019. They may want to land a job in Treasury. Although this article is about the DeMarco-Bright plan for mortgage reform (“Toward a New Secondary Mortgage Market,” published in September by the Milken Institute), it is written by former Treasury Department official Michael Stegman. The Stegman article is a good example of how bad ideas gain policy currency in Washington. I don’t know Stegman, but I do know that, like many current and former Treasury officials, he has been a persistent advocate of replacing Fannie and Freddie. To him, the DeMarco-Bright plan seems like a plausible way of doing that, so he endorses it and makes arguments in its favor without having much if any understanding of the subject matter he’s addressing. Currently, Ginnie Mae packages government-guaranteed FHA and VA loans, and issues them on its securitization platform. DeMarco and Bright think, “well, why can’t Ginnie do that for conventional (i.e., non-government guaranteed) loans, like Fannie and Freddie do?” (Irony alert here: DeMarco now says that the Ginnie Mae securitization platform is a better choice for this than the “common securitization platform” (CSP) he forced Fannie and Freddie to start building in 2012; that certainly raises the question: “so why did you make them spend all that money on the CSP if Ginnie had a better platform already?”) The answer to this question is, “Ginnie could ISSUE the conventional securities, but who would guarantee them?” DeMarco and Bright’s idea– which Stegman endorses–is that Ginnie would take on the new responsibility of ensuring that every loan delivered to one of its new conventional mortgage pools had sufficient credit enhancement to leave it (Ginnie) with virtually no residual risk through adding its (government) guaranty to it. Among the types of credit enhancements that DeMarco and Bright say would pass this test of highest quality would be securitized credit-risk transfers such as Fannie’s CAS and Freddie’s STACRs. Yes, these are the same securities I’ve written about extensively, which according to both Fannie’s and Freddie’s prospectuses take less than one-tenth of the credit losses they’re advertised as taking. If Ginnie actually accepted CAS and STACRs as “top quality credit enhancements,” what would happen to the 90-plus percent of the credit losses the CAS and STACRs don’t absorb? Ginnie Mae, of course, would end up with them. DeMarco and Bright don’t seem to understand that, nor (obviously) does Stegman. So another terrible idea for mortgage reform gets endorsed and perpetuated. You are much too kind. It isn’t ignorance, but infamy, which compels Demarco and Bright. The CAS-STACR credit trades are dual purposed as 1) fig leaf to taxpayers and 2) transfer of shareholder wealth (including IP) to TBTF banks. The real idiocy is putting ones name (and personal integrity) to intellectually flawed and dishonest proposals. Can you please explain “backing” of the federal government and “implicit Guarantees” of the federal government in the context of FnF. Which one these really exist and in what form? Many people have freely used these phrases very conveniently without really being specific about what and how. Should not Gov be specific about these to make it easy for investors and also to avoid litigations with Gov? The easiest and most understandable way to explain the “implicit guarantee” (or “government backing”) for Fannie and Freddie is in the context of their existence as private, shareholder-owned companies, pre-conservatorship. We learned during the 2008 financial crisis, however, that the concept of implicit guarantee applied not just to Fannie and Freddie, but also to all large, systemically important financial institutions. Banks facing imminent financial collapse were given trillions of dollars in repayable loans from the Federal Reserve, with few if any conditions, and have long since been restored to their former states as independent companies. Fannie and Freddie, on the other hand, which faced no liquidity problems and did not require federal help, were forced into conservatorship and saddled with non-repayable senior preferred stock by their conservator, FHFA, and remain in conservatorship today. Today, “too-big-to-fail” banks continue to benefit from an implicit guarantee, in the sense that nobody doubts that if Citigroup, Bank of America or any other very large commercial bank were to get into trouble again, the government would come to their rescue. Yet critics of Fannie and Freddie act as if the implicit guarantee were only an issue for these two companies, in spite of the fact that—unlike the banks—Fannie and Freddie still “pay for” their government relationship through the limitations on their business powers contained in their charters. I can certainly understand if you are confused by what an “implicit guarantee” is, how it is conveyed, and what conditions come with it. The federal government is too. Nowadays all SIFI around the world have implicit guarantee. Just these days Italy is rescuing its banks. Also the European Central Bank is telling all the time that they are ready to act if a SIFI needs to be rescued. Thanks for excellent explanation of the most misunderstood topic in FnF saga. When this explanation comes from credible and authoritative source like you, it establishes a quotable reference. So far no one has ever tried to explain. This also brings certainty to any debates or discussions. In the past we have never read or heard from either public officials or private experts on what these mythical things are. Hope plaintiffs will make sure that Judges understand these mostly misunderstood phrases. Tim – what do make of the talk lately regarding Watt and the fact that he holds all of the cards? Many are saying he can not be removed and that unless the new admin. meets all of his demands, he can prevent them from releasing. Given his actions and past testimony couldn’t he be removed for cause given that he clearly did not follow his duties as a conservator? Further, couldn’t the new admin use the sealed docs as leverage and aren’t there a million ways for Treasury to make Watt’s life as head of FHFA very difficult if so inclined? I believe that the new admin will be very focused on expanding home ownership and aiding low-income Americans as well so it would seem that Watt’s refusal to comply would be nothing more than politically driven. I’ll start by saying that I’ve had no direct contacts with senior officials at FHFA for a couple of years, so my comments on this question are based on inferences from information that is available publicly. I have no reason to think that Watt will be opposed or an obstacle to releasing Fannie and Freddie, should the Trump Treasury (and administration) elect to do that. In my view, Watt has been in a very difficult position. Prior to his becoming director, his predecessor, Ed DeMarco, had allowed Treasury to dominate FHFA, and become the de facto conservator. Treasury’s plan was to deprive the companies of capital, drain significant amounts of their revenues by forcing them to enter into expensive risk-sharing transactions that transferred very little risk, and spend their own money on a securitization platform designed to ultimately be given away to whatever entities could be devised to replace them. Watt believed–I think correctly– that he got into the game too late to effectively fight that, so he and the rest of FHFA went along with it. If the Trump Treasury changes its objectives for Fannie and Freddie, I personally believe that Watt would be very happy with that. Historically, he has supported their mission and their existence as shareholder-owned companies. Watt’s actions as conservator also have been affected by the legal position Treasury and FHFA have taken (again, predating his appointment as director) in the net worth sweep cases. Their primary defense has been that HERA allows them to do whatever they want with Fannie and Freddie, including liquidating them and allowing Treasury to call the shots on how they are being run. As you know, this defense worked with Judge Lamberth (although that decision is on appeal). Watt can’t break from Treasury while this defense is still, on its surface, succeeding. So here, too, I think he has defensible reasons for “not follow[ing] his duties as conservator.” He doesn’t have an obvious alternative. He can’t release Fannie and Freddie without Treasury abandoning the net worth sweep (they have no capital), and breaking ranks with Treasury would sabotage their collective legal strategy. So, I’d be inclined to withhold judgment on whether Watt’s professed desire to remain in office until the end of his term is a good or a bad thing until we get more clarity on what the Trump administration’s intentions for Fannie and Freddie are, and how Watt responds to them once they’re known. Clear thinker you are Mr Howard! Rep Mulvaney is the new director of budget. After reading his bill (link below) it seems that his ideas are positive for GSEs. The bill talks about “risk-weighed” capital; is it what you always propose? He proposes very high capital, do they do this is for margin to negotiate? Also the bill expressly grants jurisdiction to the district courts over private claims. That seems very good considering what is brewing in the district courts. isn’t it? Can you give us your opinion on Mulvaney’s position about GSE? Mick Mulvaney (R-SC) has been chosen by President-elect Trump to head the Office of Management Budget, but he still will need to be confirmed by the Senate (which I do not anticipate will pose any problems for him). My opinion of his proposed bill on Fannie and Freddie (H.R. 4913) hasn’t changed since it came out in the spring. While it clearly has some good things for the companies, overall I do not support it, primarily because of the way it treats capital. Mulvaney is another advocate of applying “bank-like” capital standards to Fannie and Freddie, which I believe would be a grave, and potentially fatal, mistake. His capital proposal is that Fannie and Freddie hold “an amount of total capital…that is equal to or exceeds 10 percent of the risk-weighted assets of the enterprise.” The Mulvaney bill does not define what “risk-weighted assets” are, however, and that term is nowhere defined in the companies’ charters, nor in the Federal Housing Enterprises Safety and Soundness Act of 1992. By elimination, therefore, he must be referring to “risk weights” as they are defined in the Basel capital standards for banks, in which residential mortgages are given a risk weight of 50 percent. Mulvaney’s proposal to capitalize Fannie and Freddie at 10 percent of risk-weighted assets thus would translate into approximately 5 percent capital against the companies’ total assets (the difference coming from the fact that not all of Fannie and Freddie’s assets are mortgages). As I noted in my responses below to comments on the Rosner and Carney capital proposals, I strongly oppose applying fixed, ratio-based capital standards to Fannie and Freddie’s credit guaranty business. I believe that when negotiators of a settlement in plaintiffs’ net worth lawsuits against the government for the net worth sweep focus on what Fannie and Freddie should look like–and how they should function–post-settlement, they will agree with my view that custom-tailored, true risk-based capital standards are a greatly superior approach to capitalization for the companies compared with a simple ratio-based standard. When they do that, Rep. Mulvaney will be one of the many people on the Republican side of the aisle they will try to persuade to come to that same point of view. I don’t see any great significance in Mulvaney’s granting jurisdiction to district courts in disputes concerning the companies, other than a preference for those venues over state courts. But perhaps the lawyers among the readership see something there that I don’t. I realize you can’t know, but do you think it’s probable that Mulvaney would resonate with sound instruction on this point he currently misses, or at least was missing in his thinking at the time the bill was drafted? I take you to suggest he might. I don’t have a good sense for how “persuadable” Mulvaney would be on the capital issue, although his memberships in both the Tea Party Caucus and the Freedom Caucus suggest to me that he might be a fairly tough sell. On Mnuchin, I would be surprised if he “gets [the capital issue] already, without being told.” This is awfully esoteric, and unless you’ve worked with or studied the operations of a mortgage credit guaranty business– which few have–it’s unlikely you would know it off hand, because it’s not intuitive. “Bank-like capital” and “more capital” do seem intuitive (although they’re wrong). That’s why I believe that someone will need to take Mnuchin through the reasons WHY customized, risk-based capital standards are better for Fannie and Freddie than artificially high, static, ratio-based standards. The plaintiffs in the lawsuits should be able to do that (I’ve offered my help, if they need or would like it). Once Mnuchin hears the arguments, I think he’ll make the right call. What do you think of Bruce Berkowitz’ earlier proposal to carve out a “Private GSE” from the current GSEs? He proposes to capitalize $1t of new mortgages with $52b of capital – or 5%. So does he really “get it” re capitalization numbers? Bruce made that proposal over three years ago, a few months before I first met with his team (following publication of my book). Back in 2013, any proposal to capitalize Fannie and Freddie with less than 5 percent capital was not taken seriously–in fact, many people still were advocating 10 percent capital. It was necessary for Berkowitz to use a 5 percent capital figure just to get his proposal in front of the administration (although it was dismissed in any case). I don’t presume to speak for Fairholme, but I think they now understand my risk-based capital approach, and why it’s better for both the companies and homebuyers. It also makes recapitalization easier (less capital to raise). It’s a win-win-win. Even so, I plan to do a round of calls and/or meetings with the principals after the first of the year, to make sure no one has any outstanding questions or concerns about the idea. Tim – what are your thoughts on Josh Rosner’s recommendation of minimum capital requirements of 3% to 5% Risk Adjusted vs. your 2%? First, let’s make sure we’re talking about comparable concepts. I’ve proposed that Fannie and Freddie be subject to a risk-based capital standard; their required capital would be set by product and risk category, with the percentage amounts determined by stress tests specified by the government and run by FHFA. (I would add that the Housing and Economic Recovery Act, passed by Congress in 2008, also requires FHFA to determine the companies’ capital using a risk-based stress test.) I have recommended that Fannie and Freddie be required to hold enough capital to survive a 25 percent nationwide decline in home prices over a 5-year period, plus a small cushion, but it should be the government that picks that standard. If a 25 percent home price decline is in fact the stress standard picked by the government, my analysis of Fannie and Freddie’s 2008-2012 credit losses suggests that—for the companies’ current, very high quality, books of business—their required risk-based capital would be well below 2 percent. I thus have also recommended that Fannie and Freddie have a 2 percent minimum capital requirement, so that if application of the risk-based standard results in calculated capital below that level, the 2 percent minimum would become binding. Above 2 percent, the risk-based standard would be binding. I have the same objection to Josh’s approach as I had to John Carney’s (discussed below): it applies a bank standard to Fannie and Freddie, which aren’t banks. Banks have exceptionally wide asset powers that force bank regulators to apply “rough justice” capital percentages to broad categories of the business they do around the globe. With the limits now imposed on Fannie and Freddie’s portfolio business, they take essentially one type of risk (credit) on one type of asset (residential mortgages) in one country (the U.S.). And the credit results on their one asset type can be modeled, analyzed and predicted statistically. For that reason, it is possible to do a TRUE risk-based capital standard for Fannie and Freddie, whereas bank capital standards are “risk-based” in name only. Beyond this argument (which, by the way, was good enough to convince former Fed Chairman Paul Volcker, who worked with me on Fannie and Freddie’s original risk-based capital standard, developed in the early 1990s), there is a practical one in favor of the true risk-based capital standard I advocate compared with the ratio-based standard Josh recommends. A fixed, ratio-based standard makes guaranty fee pricing extremely problematic. For example, you don’t need 3 to 5 percent capital to cover the credit risk on a loan with a 40 percent down payment and a 750 credit score. If a credit guarantor prices for that amount of capital it won’t get the business, but if it cuts its fee the capital requirement doesn’t change. To make its target return on capital at the corporate level, the guarantor has to make up fee cuts for low-risk borrowers by charging higher-risk borrowers even more—but then THOSE fees become unaffordable. In the real world, there’s no way around that problem if you saddle Fannie and Freddie with non-risk, ratio-based standards that are anywhere near the 3 to 5 percent level Josh is recommending (on loans, remember, that are likely to have less than a 4 basis point annual credit loss rate). If you break the link between risk and capital, as ratio-based standards do, the credit guaranty business really doesn’t work. You’re referring to property and casualty companies. No, I don’t know how they’re capitalized, but in any event their capitalization has no practical relevance for the capitalization of Fannie and Freddie. Eric (and Tim) property and casualty companies, such as you describe Eric, are regulated by the 50 states. Ergo, while there may be a common set of rules, each state has the authority to establish different levels and capital requirements. Historically, state insurance commissioners come from and later return to those industries, which makes state oversight, control and, company rate increase requests an “easier row to hoe”, and sometimes, a “good old boy” arrangement. This link has some of the most recent state capital requirements for insurance companies. Brilliant. Makes perfect sense. Thanks Tim. Your recommended methodology for setting regulatory requirements by product, assets, geography and risk category is the most logical and scientific methodology in the current information age. Using single broad percentage based regulatory requirements is unscientific and carryover from past. Single percentage based regulatory requirements is preferred by other FIs for obvious reasons. Other FIs have risks based on multiple of geographies, products, assets, services, risks. It not only makes it simpler for them but it also allows them to maximize the profits by focusing on specific geographies, products, assets, services taking maximum risks but allocating the same single percentage based regulatory capital for any risk. Also it is very difficult for regulators to have accurate historical data for multiples of geographies, products, assets, services, risks and determine detailed risk requirements for all types of banks that exist in thousands. In case of FnF, these are just two companies that have very few specialized products and services limited to single country but on a very large volume and scale. Also reasonably accurate historical data exists and it is very easy to determine detailed risk requirements by the dedicated FHFA regulator. FnF and Banks are totally different on many criteria. FnF are highly regulated and just two companies where as thousands of Banks exist in hundreds of different formats. For these reasons FnF and other FIs also have separate dedicated regulators. In case of FnF, even a very small mistake in regulatory requirements can have very large impact on economy because of very large volume and scale of their operations. When there are easy ways to determine risks and regulatory requirements, then it makes no sense to use single percentage criteria. This is main reason why regulators were clueless about real conditions of FIs during 2008 crisis and used “rough justice” to deal with the crisis. FnF and Shareholders are the victims of such “rough justice”. Any opinion on this article? I normally don’t comment on articles that deal with the relative pros and cons of ownership of Fannie or Freddie’s common versus preferred stock, but I did read this piece and thought it contained some good background material and solid analysis, which many readers might find useful. There was one area where I thought the author could have been a little more clear in his exposition. He spends considerable time discussing the upside for common shareholders of a challenge to the Senior Preferred Stock Purchase Agreement (SPSPA), but he doesn’t point out that none of the net worth sweep lawsuits challenge the SPSPA (or if he does I missed it). One way that plaintiffs in the net worth sweep cases–Berkowitz, Paulson, Ackman and others–might get around this is by threatening to “commandeer” (i.e., start picking up the legal fees for) the Washington Federal suit, which does challenge the SPSPA. That might put it on the table in a negotiation. But for this tactic to give the plaintiffs more leverage in a negotiation, it would have to be viewed a credible threat by the government–that is, the government would have to believe that the plaintiffs would be willing to forego a near-term settlement of the net worth sweep cases and spend several more years of discovery in and legal wrangling over the Washington Fed suit, which to date has been stayed. So far, none of the plaintiffs in the net worth sweep cases have shown any willingness to do that–although it’s possible that could change. I tend to believe that the settlement would include Washington Federal. Otherwise, if Wash Federal wins eventually, a big bill ($300B) for the feds to pay. Wash Federal can fight to end if it wants to. In a settlement with all plaintiffs, feds may be able to keep some profit. I believe Washington Federal will accept whatever settlement the plaintiffs in the net worth sweep cases negotiate. The issue I’m raising is whether the net worth sweep plaintiffs can parlay the threat of keeping the Washington Federal suit alive (using their own resources) into a better overall settlement for everybody. I suspect that’s a long shot, but it’s not totally out of the question. Rule Of Law Guy said that the law firms that represent Washington Federal had an agreement of services contingent to a quick settlement and other sources agree. However that agreement of service was done BEFORE the suit was filed. A lot happened since May 2013 and the two firms that represent WF find now that the case is a lot more easy to prove than they expected before. It happens because now there is enough evidence , through discovery and forensic audits, that they did not expect to have on hand with almost no effort from their part. In another words, while their case has been stayed, others have been doing a great job for them. Maybe the two law firms will change their minds and never walk away from the case. It is too big to walk away. Tim – In your opinion would you say that given it may be impossible to settle every single suit depending on certain controlling P’s rationale, i.e they are looking for an outcome deemed to simply be unreasonable, Mnuchin will hammer out a deal with the key litigants and major shareholders, as well as reach out to smaller cases once the parameters with larger have been agreed to? Assuming they choose to take advantage of warrants with the possibility of altering the original deal, isn’t the pps of common shares a key to a successful transition, i.e. most suits are settled/dropped, ability to raise capital increases, treasury maximizes it’s own interest, prf’d may be convinced to a conversion and remain invested for a longer period, etc.? I ask as many still put forth the notion of shareholders being wiped out, new issuance, etc. This to me doesn’t seem like a reasonable probable outcome when the opportunity exists for a win-win scenario. Am I missing some key element short of an unrealistic capital buffer, say 3% or above? The way these multi-plaintiff settlements typically work is the “big dogs” negotiate the terms, and the smaller plaintiffs then decide whether to accept those terms or opt out, and continue to sue on their own (with their own money). Knowing that, the large plaintiffs try to structure the terms to maximize the chance that both the defense and the smaller plaintiffs will accept them, so as to end the lawsuits for everyone. And you’re right about the common shares. If the government views a reformed, released and recapitalized Fannie and Freddie as the best available alternative for the secondary mortgage market of the future–as I argue in this piece that it is–then the government and the plaintiffs have a mutual interest in maximizing the long-term value of those common shares (the government because of its ownership of the warrants). Another important mutuality of interest in a negotiated settlement is “getting the capital right.” Yes, the government wants Fannie and Freddie to be, in Mnuchin’s words, “absolutely safe,” but it also would want to achieve that safety with a minimum of unnecessary excess capital. Capital that’s not needed to meet the government’s safety and soundness standards either extends the time to achieve full capitalization via retained earnings (which requires negotiating regulatory forbearance, and limits or prohibits junior preferred and common dividends in the interim) or requires additional equity capital raises (there is a limit to the percentage of its capital structure a financial institution can have in preferred stock), which dilutes existing owners of common (including the government via the warrants) and lowers its price. If there are favorable rulings in either Perry or Fairholme cases prior to negotiations, do you think the plaintiffs, with a bolstered negotiating positon, will alter their positions on warrant exercise i.e. move towards no exercise or do you think excercising warrants is going to happen regardless and it is just a matter of at what strike price? Since other financial institutions have been given several years to comply with Basel III, is there any reason why GSE’s won’t be given forbearance? Again, I’m not going to speculate about various scenarios for the warrants; that’s completely in the hands of the negotiators, who will be balancing multiple objectives in real time, amidst a changing set of external circumstances and internal dynamics. On regulatory forbearance, there clearly will be some required in order to get from Fannie and Freddie’s current capital level (essentially zero) to whatever target is set. But the time period for that forbearance won’t be indefinite, and in my opinion almost certainly not so lengthy so as to permit Fannie and Freddie to recapitalize solely through retained earnings, and without any common equity issuance. What is the limit to the percentage of its capital structure a financial institution can have in preferred stock? I haven’t done any updated research on this topic for a while, but when I’ve looked at this in the past the highest percentages of preferred stock in a financial institution’s capital structure that I found were in the 10 to 12 percent range. so tim, i wonder if there can be any recap unless and until the perry appeals court renders a decision that lamberth’s interpretation of HERA was wrong. who is going to invest $65B of fresh capital unless it is made clear that HERA doesn’t mean what judge lamberth said it meant?! Technically, there could, if the parties were to reach a full settlement before the appeals court renders a decision on Perry. But that’s highly unlikely to happen. And even if the appeals court upholds Lamberth (which I think also is highly unlikely), you still have the Federal Court of Claims case outstanding, so settlement remains possible. But you won’t get recap without a settlement, along with a clear and binding agreement on what Fannie and Freddie will look like post-conservatorship, and how they will operate. Investors in any new equity issues in the companies will have know to a certainty what they’ve buying into. On reflection, I think you’re right. The preferred shareholders could get relief from a positive outcome in the Court of Claims case (or a settlement of it), but if Lamberth is upheld (through the Supreme Court) the government undoubtedly wouldn’t release Fannie and Freddie from conservatorship without their being able to access the equity market in large size to recapitalize, which would be problematic unless and until Congress overturned the provision(s) in HERA that gave rise to Lamberth’s interpretation. With the dramatic move in interest rates during this current quarter Q4, might it necessitate a pre-settlement end to the sweep or at least a temporary halt? I ask as rates have moved 100bps from 1.60% to 2.60% in Q4 and that will have a dramatic one time positive effect on Fannie Mae’s profits from interest rate hedges. If Fannie pays that all away to Treasury and interest rates drop back down to 1.60% in the following quarter (Q1 2017), there’s a good chance the company would need a treasury draw from any potential massive drop in rates. With that said, wouldn’t it be best if the new administration was pre-emptive to avoid an increased chance of a potential draw, especially so soon into their new jobs (even if one time only while they work out the larger reform issues). Your thoughts? I think you raise a good point. Movements in interest rates this past quarter very likely WILL result in significant (temporary) accounting gains for Fannie and Freddie’s derivative positions, all of which are scheduled to be paid to Treasury under the net worth sweep. A comparable fall in interest rates in the first quarter—and the attendant accounting loss on those same derivative positions—could well provoke a draw. This is a potential dynamic that the new administration (and the plaintiffs) will need to keep an eye on. But they have time. Fannie and Freddie won’t put out their full year (and fourth quarter) 2016 results until mid-February 2017, and they won’t release their first quarter 2017 results until early May. By mid-February we’ll know what interest rates have done in the first six weeks of the year, and thus be able to handicap the likelihood (and possible magnitude) of an accounting-driven loss in the first quarter. If one appears likely, I think the (newly installed) Trump Treasury should instruct FHFA to allow the companies to not make their scheduled net worth sweep payments for the first quarter of 2017, and instead enable them to retain those earnings to serve as a buffer for the probable accounting-related losses to come (thus avoiding a draw). If the Trump administration Treasury truly is interested in reaching a negotiated settlement with plaintiffs—which I believe it is—it wont want an accounting-driven senior preferred stock draw in May to add a political complication to what already will be a challenging negotiation on settlement of the lawsuits. So first quarter interest rates are definitely something to watch. Let’s compare FnF with their only peer, the FHA. Congress mandated the FHA to have a 2% capital ratio. The FHA now has a 2.32% capital ratio. FHA: 4.92% This figure includes the “legacy portfolio” (mortgages made before 2009). All the metrics point out that FnF should be required to have a capital ratio well below FHA’s. If FHA has a Congressional mandate of 2% capital ratio and a serious delinquency rate of 4.92%, then Fannie Mae, with a 1.06% serious delinquency rate, should have a capital ratio of 0.43%. It’s a simple math. Curiously enough, FnF have always had a capital ratio around 0.38% since they were set up in a Congressional charter 40 years ago. After reading this article, now you know why: a low-risk business model translates into very low delinquency rates. Cap ratio for GSEs: 1.5% is good enough! Due to in depth insight by you and others with working knowledge fighting the propaganda, I feel my IRA is much safer and am more optimistic than ever. I knew deep down it was not if, but when, it is resolved in favor of the rightful owners that value and thus capital would flow back in, providing stability and rewarding shareholder patience. One of the biggest problems is the “distrust” of government. This has to be addressed somehow. But the path of the past few years has led the country to the brink of every man for himself; as few have any trust in the government to actually do the right thing. Another issue surrounding capital is that at the extremes, there is simply no amount of capital that any company can have and meet muster if the tests are unrealistic. Rumor mongering and skeptical silliness have led the Feds and their “stress tests”. The government, ultimately, backstops America. There is an implicit guarantee at the extremes. There is no way around it and no way to hide it; unless you want Fannie or Freddie to relo to Canada. The government uses Fannie and Freddie to set and manage policy. This is a massive misconception in the market place. The economic expansion of the past 70 years is directly correlated to the ability of the average person to buy a home and create a future. If you want to grow the economy this is the best way to do it. Just a few salient points to consider. While Mr. Carney did not cite any specific article or study authored by Mr. Pollock, I presume you are very likely familiar with his work. Do you have any comments or rebuttal to what may be a statement and I suppose justification by Mr. Pollock regarding what he believes are Minimum Capital Reqs.? Note: I shall be happy to inquire further of Mr. Carney should you ask for a specific work by Mr. Pollock. I think this is a healthy debate as Mr. Carney seems to be taking a stand here and it would in my view be good to address his concerns given his position as an influencer in the Financial Press. I do not follow Carney, but I do know that he is what I would refer to as a “reflexive critic” of Fannie and Freddie, meaning that nothing positive done by or said about the companies will escape some sort of rebuttal or nay saying. You quote his comment that “[my] estimates of capital minimums are ridiculously low. Not even worth considering.” The “estimate” he seems to find objectionable is the “not much over 1 percent” capital percentage that resulted from the analysis I did to determine the amount of capital Fannie would have required to have survived the 25 percent decline in home prices that occurred between 2006 and 2011, adjusted for the fact that it no longer finances interest-only ARMs and Alt-A mortgages (as it did then). That figure may be “ridiculously low,” but it is inaccurate? Has Carney done a similar analysis, and come up with a different result? I suspect not. So I’m not sure what point he thinks he’s making. I don’t know how I could have made my proposed capitalization requirement for Fannie and Freddie any clearer: they should have to hold enough capital (plus a small cushion) to survive a 25 percent nationwide decline in home prices. Is that not severe enough? If not, what should they be required to protect against, and why? I’m not familiar with Mr. Pollock’s minimum capital estimates, but it’s not necessary for you (or anyone else) to ask Mr. Carney about them on my behalf. And I would not agree with your characterization of Mr. Carney as an “influencer.” He may have a following in the financial press, but the people whom I view as opinion leaders in the mortgage reform dialogue view him as being the same sort of reflexive critic as I do. Reflexive critics are completely predictable, so they don’t have much influence on people who like to think for themselves. You need to debate your analysis and opinion only with people who match your openness, transparency, integrity and expertise. Otherwise it would be giving attention to publicity seekers. It was rude of me to say that your proposed capital standard was not worth considering. I apologize. My argument with your proposal is that it starts from the wrong place. The purpose of contemporary capital standards is not to set minimums at levels needed to survive the stress scenario. They are to set levels high enough that firms are adequately capitalized during and after the stress scenario. And we don’t set capital standards based on the specific product mix present at a given time. Rather we set them on historical observations of losses in this type of business. So the starting place should be 4% to 5%. In other words, they need to have 4% to 5% minimum after the stress scenario. So that brings us to at least 5-6%. In addition, we will need to require a capital conservation buffer of 2.5% as well as a TBTF capital surcharge of 1% to 5%. This gives us a capital requirement of around 10% to 12%. Your view of capital adequacy as being set by the amount needed to survive a crisis is outdated and fails to take into account the systemic risk posed by the GSEs. For a simple discussion of the new view of capital requirements, this article from the Economist makes a good starting place. John: I agree with one of your points, but disagree with how you are applying the other. I agree that, “we don’t set capital standards based on the specific product mix present at a given time.” I’m not proposing we do. I’m proposing that FHFA set risk-based capital requirements by product type and risk category (at a minimum, combinations of loan-to-value ratios and credit scores). As the mix of Fannie or Freddie’s business changes, the capital requirements will change. But I also believe there should be a minimum capital requirement, below which the aggregate risk-based requirement (based on a company’s current mix of business) cannot fall. My disagreement is over your statement that Fannie and Freddie “need to have 4% to 5% minimum after the stress scenario…and a capital conservation buffer of 2.5% as well as a TBTF capital surcharge of 1% to 5%.” I know why you’re making this recommendation: banks are required to do something similar, so in your view Fannie and Freddie should have to as well. But Fannie and Freddie aren’t banks; they’re specialized institutions, limited to the mortgage business. I do understand that large commercial banks (with assets of over $50 billion) now are required to have at least 5 percent capital after deducting the losses from their (stylized) stress tests. But there’s a very good reason for that, which I discussed at the end of a recent post called “A Solution In Search of a Problem” (accessible as the last of the posts under the “Recent Posts” heading on the site). Briefly, what caused the problems at the banks during the crisis wasn’t loan losses; it was that fact that they were experiencing runs of non-insured deposits and hot money. Banks are highly levered. It’s not enough for them to have sufficient capital to absorb losses; they have to have enough to maintain the confidence of uninsured depositors and money market mutual funds so that they don’t take their short-term funds out, triggering the need to sell assets. The Fed says 5 percent post-stress capital is enough to maintain that confidence, but I’m not sure even they believe that. Large banks in the aggregate had more than 5 percent capital at the height of the last crisis, and the Fed still had to lend them trillions of dollars, and Treasury had to give some of them infusions of capital. This, I believe, is why banks are subject to things like the capital conservation buffer and TBTF surcharge. The capital argument you’re making is a variant of the “level playing field” notion I referenced in my current post: Fannie and Freddie have to have the same capital requirement the banks have, even though their business models, and risks, are very different. Your 10 percent capital requirement for Fannie and Freddie would have them charge 130 -140 basis points per year to guarantee a loan whose average expected default rate is less than 4 basis points per year. That basically kills the secondary market credit guaranty business, and takes massive amounts of money out of mortgage borrowers’ pockets. I don’t believe policymakers will choose that outcome by forcing bank capital standards on Fannie and Freddie for no reason other than the banks would like them to. Tim’s articles start with clear objectives and scenarios. If one reads a few of these articles most of the questions will be answered. One needs to look at various similarities and differences between FnF and similar FIs, before trying to burden FnF with various statutory regulatory requirements. These statutory regulatory requirements need to be in synergy with GSE charter, counter cyclical public missions and social mandates. The current gripe seems to be GSE charter and FnF business model which Congress has refused to change in last 8 years despite dogged efforts by insiders and outsiders in the financial establishment. FnF and Banks have fundamentally different business models based on their charter/incorporation, the business products/services and business risks. FnF are more like specialized private insurance companies along with punishing counter cyclical public missions and social mandates. In 2008 crisis these punishing counter cyclical public missions have cost these companies and their shareholders all of their capital and investments. Mark (in this blog) compares FnF with FHA (FHA with more riskier business model) and comes up with fairly realistic capital requirements. Similar such comparative analyses would help in setting statutory regulatory requirements for FnF. But this needs to be done by FHFA with the help from mortgage finance experts using a open, transparent, and fair process complying with all the laws and regulations. Secondary Mortgage finance is a very specialized field and requires in depth knowledge and expertise. We wish experts like Tim would help current and next DJT administration in setting the right direction. I would love to see a public debate between you Vs. Hank Paulson , Demarco, Zandi, fellow travellers, Corker et all . Such debate would fill up the Madison Square Garden! I would be in the line since the night before. Probably Obama relied on Hank/Ben/Tim and Fellow Travelers for the housing finance advice since Obama was more involved in Law and Community development . I’m sending this article to my senators and Congressmen. Thanks for a great article for current administration as well as next administration. Over all, FnF business models have worked well during good times and have worked very well during bad times (counter cyclical role). The benefits of lawfully restoring FnF to their original private shareholder companies far outweigh the costs and risks of lawless status quo or any other lawless manufactured alternatives. This article provides a complete solution to finish meaningfully the unfinished business of FnF conservatorship. Current administration and next administration need to implement these ideas. Thank you Tim for this excellent post. Yay you, Tim, a hundred times over. It is so logical, prepare for the “Establishment” blowback. Bill: Thanks. On the potential establishment blowback, I doubt I’ll hear anything new, but I expect it to be louder. Tim, Great job!!!!. This is a most concise summary of what mortgage reform is for FNF. This a must read for all stakeholders on secondary mortgages, which means all of us. I do not have a financial background but your analysis is easy to understand and doable. Somebody made a comment that you should have a direct access to SOT Mnuchin and President elect Trump. I support that and hopefully you have access to them through Fairholme. Are you still in direct contact with Fairholme? Tim – If you don’t already have one, u need a direct line to Steve Mnuchin & Donald Trump! Thank you jtimothyhoward for giving to the American People your brilliant, concise and logical roadmap. This is a new horizon with few economic and political clouds that reasons our way forward! Excellent piece! Tim – I posted under the comment section of the previous post. If you care to address, please include under this post. Tim Howard for the next FHFA Director! Yes we are all for it. It would be great choice for DJT. How about CEO of FnF. Great post. If Fannie and Freddie were the problem according to some then why didn’t their previous regulator do anything at that time.